Terence was born in Cairo, Egypt on 15th June 1914 at the American Hospital. He returned with the family to England in 1915 where he stayed while his father served in France. From Dec. 1918 to autumn 1921 he was at Rushbrooke, County Cork, Ireland. The family returned to England where Terence attended the local Council school at Thame, Bucks, followed by Watford Grammar School. But , for the last 6 months of 1923, he was severely ill with whooping cough. As a result, on medical advice he was sent to Dover College where the sea air would help lungs that were in a poor state. He was at the Junior school till 1928 and the senior school till 1932. He was a House Prefect, in the sixth form and passed all the requisite exams. He played all the available sports. In Jan 1933, Terence went to The Royal Military Academy, Sandhurst (No. 3 Company, New Buildings). He reached the rank of Sergeant and passed out 18th of 200. Although this gave him eligibility to join the Indian Army, he chose the British and , in Aug 1934, was commissioned into The 2nd Bn. The Royal Ulster Rifles, based at Gravesend. In the summer of 1935, Terence required a serious middle ear operation at The Royal Naval Hospital, Chatham. During convalescence his pub-crawling companion was the Crown Prince of Spain who was in the next room. The Battalion Adjutant was not pleased that Terence was able to drive his own car to Stockbridge for training while the rest of the Battalion had to march. In autumn 1935, Terence was posted to 1st Bn., based in Hong Kong. He travelled by P & O liner to take up his post as Intelligence Officer. In May 1937, he was posted to Hong Kong HQ Cipher staff. In August 1937 he was promoted to Lieutenant and rejoined the battalion who were posted to Shanghai as part of the international force sent to protect the settlement from the Japanese who had invaded China. 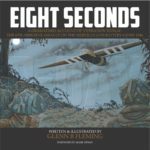 The battalion suffered four months of constant bombing, shelling and machine-gun fire from the Japanese, losing 20 killed. In Dec 1937, the battalion was posted to Rawlpindi, India. On return from 6 weeks leave the battalion was posted to Razani, North West Frontier. Terence was appointed Signals Officer. On ? Aug 1939, during 3 months leave, Terence married Stella Whitehead, daughter of Basil Whitehead of Bovey Tracey, Devon, a retired Colonial Police Officer. (Chief of Police in Penang, Malaya). Terence and Stella returned to Rawlpindi, but Stella flew home in April 1940, while the battalion returned by sea to Oxford for conversion to mechanised infantry (from the camels, mules and horses to they had been used in India). During this time Michael was born on 10th Sept. 1940. In Dec. 1940, Terence was promoted to Major. He went to Staff College in June 1941, passing out 4th of 200 in Dec. 1941. During 1942 he served as a Staff officer in London, responsible for briefings and briefing papers for the War Cabinet. In July 1943 he returned to the R.U.R as a Company Commander. 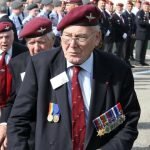 The battalion was part of the 6th Airborne Division. 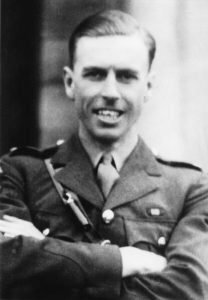 In Aug 1943, Terence transferred to The Parachute Regiment to become Second-in-Command of the 9th Battalion. In March 1944, he was promoted Lt-Colonel and took over as CO. The invasion of Europe took place in June 1944 – The Normandy Landings. The 9th Bn. dropped on the night before to secure vital objectives, particularly to neutralise the Battery at Merville. The full story is told in the Appendices. Terence was awarded the Distinguished Service Order (DSO) for his outstanding leadership and the success of the 9th Bn against all odds. 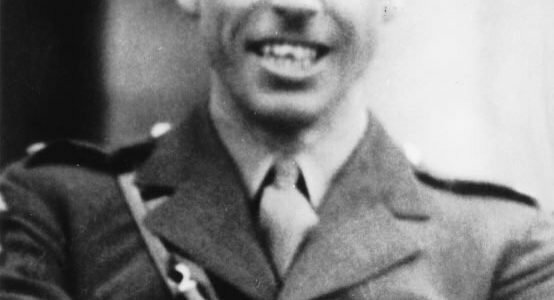 He was wounded in August and evacuated to hospital in Cardiff, after which he was classed as unfit for active service and posted as a Staff Officer to the War Office. He was regraded category ‘A’ in May 1945 and posted as CO 1/5th King’s Regiment (Wingate’s Burma Force) in Rawlpindi with instructions to turn them into the 15th Bn, The Parachute Regiment, 2nd Indian Airborne Division. In Sept. 1945, Terence was appointed GSO1 at Division which was posted to Karachi, where in December Stella and Michael joined him. After 1 year Terence was posted to the War Office as a GSO1 and the family returned home. His task was to write the official history of “Airborne Forces”, which finally became available to the public in 1990. Disillusioned with the post-war Army, Terence resigned his commission in January 1948. He joined The Colonial Development Corporation as Assistant General Manager, The Gambia, transferring a year later as a General Manager to Nyasaland. In June 1949 he was invalided back to the UK and banned from further service in the East. Between 1949 and 1965 Terence worked in the area of sales and management, starting by selling life insurance as a learning experience and culminating as General Manager for Kemsley Newspapers (later Thomson Newspapers) and then as Managing Director of ‘The Empire News’, a Sunday paper with a circulation of 5.5m. After the Thomson take-over Terence resigned over financing requirements of the papers. He started an import/export business specialising in toys and gifts with a shop in Knightsbridge. The business prospered until, in 1965, a change in Value Added Tax law effectively killed it. After a brief period with Outward Bound, Terence joined Scotia Investments Ltd., a public company in the Leisure field, as Administrative Controller in 1966. In 1975, he sensed an impending scandal over misuse of funds and resigned, joining The London Chamber of Commerce with responsibility for membership. He retired in 1979, but retained various connections with business in non-executive directorships. 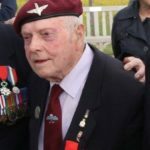 During retirement, he continued to remain active particularly in areas relating to the welfare of soldiers and their widows, as well as historical aspects of The Parachute Regiment, especially in respect of monuments in Normandy, France. He became known as ‘Colonel X’ when fighting for the rights of serviceman’s’ widows and their pensions. He was instrumental in persuading the Government to change their miserly attitude. 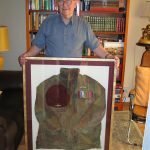 In 1991, aged 76, he still had the energy to take up the cases of 3 guardsmen seriously injured during a training exercise in Canada, publicising the issue and successfully putting pressure on the Government for adequate compensation for the men. In 1995, his health and energy undiminished, he was still pruning branches, perched on a ladder, from a tree in the garden of his home in Tadworth, Surrey, to some consternation of his wife Jeannie. 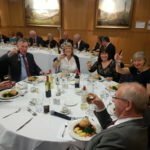 He was also involved on the fringes in the case for the release of Private Clegg, a paratrooper imprisoned for murder after a shooting in N. Ireland at the time of the troubles. 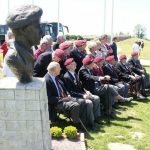 The citizens of Merville-Franceville Plage in Normandy, France, decided to honour Terence by the placing of a bust depicting him at the age of 28 at the time of D-Day and the assault on the battery. This was unveiled in the grounds of the Merville Battery Museum on 7th June 1997 by himself, Raymond Trebouillet, a leader of the French Resistance during the war, and Olivier Paz, the Mayor. The bust was sculpted by Vivienne Mallock who had also done busts of Montgomery and Richard Gale. There was a large family gathering to witness the ceremony. 21 sat down to dinner that night at the Moulin du Pre, a local restaurant, converted from a farmhouse, coincidentally the same farmhouse against which Terence landed on the night before D-Day.